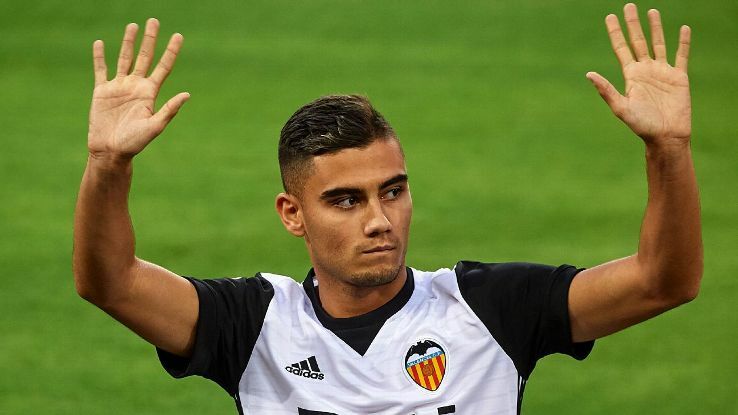 Manchester United’s Andreas Pereira has said he wants to remain at Valencia beyond his current loan deal. The 21-year-old midfielder joined the Spanish side for the 2017-18 campaign on Sept. 1 in search of playing time and has made nine league appearances, including four as a starter, for a side that is second in the La Liga standings, just three points behind leaders Barcelona after 11 rounds. Asked if he would like to play for Los Che beyond June 2018, Pereira told Valencia-based sports newspaper Superdeporte: “Of course, that would be a very good option for me, it would be positive. I’m happy at Valencia CF. “Valencia is a big club and seeing our current form, everyone wants to remain here. Pereira signed a one-year contract extension with United shortly after arriving at Valencia and is tied to the Premier League side until June 2019. United do have an option to recall Pereira during the winter transfer window but the Brazil under-21 player wants to remain at the Mestalla stadium at least until June 2018. Pereira impressed while on loan at Granada last season where he scored five goals and set up three more in 34 La Liga starts. However, the Andalusian club finished bottom of the standings and were relegated. Pereira has been likened to former Manchester United great Paul Scholes, including by former United player Phil Neville. Jose Mourinho said he was disappointed Pereira chose to join Valencia on loan instead of fighting for a starting place at United this season. However, Pereira says he is learning a lot from Valencia coach Marcelino and has heaped praise on the former Villarreal boss. “He has given me a lot of confidence and I feel important in this team,” the Belgium-born Pereira said. “Marcelino tells me what I have to do. He is the one that has created all of this, this great environment. All that we are achieving is because he has built this group. He is a great coach. He tells us with clarity what one in particular has to do as well as what the team has to do at a given moment. Valencia head into Sunday’s game at Espanyol unbeaten in La Liga and on an eight-game winning run in the league, which is their best ever start to the competition.